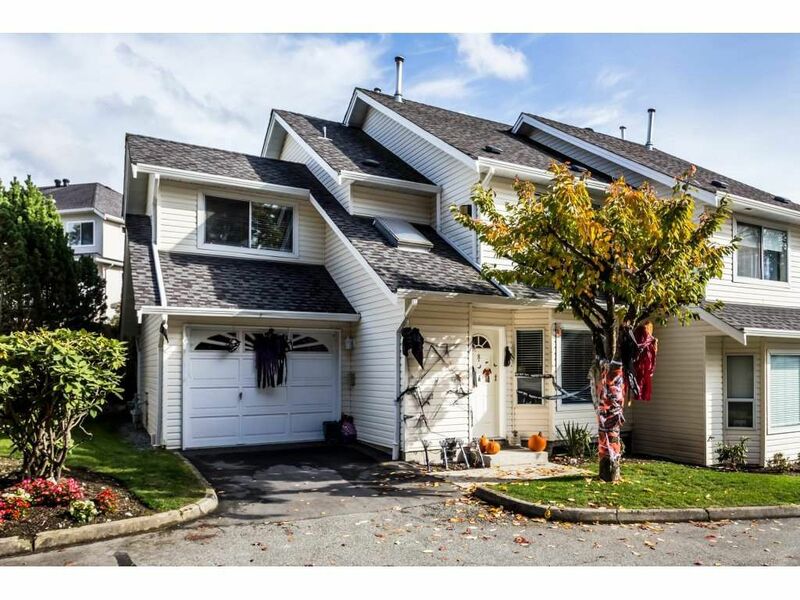 8 11588 232 Street in Maple Ridge: Cottonwood MR Townhouse for sale in "Cottonwood Village" : MLS®# R2318023 White Rock, South Surrey and Langley Real Estate Specialist! 2 storey END UNIT townhome in excellent location! This well maintained, 3 bedroom, 2 bath home has seen many updates incl; hardwood floors on main level, gas fireplace and new carpets, paint and fixtures. Large kitchen features newer cabinets, appliances, counters and has a spacious eating area with sliding doors leading to a fenced yard, great for BBQ's and kids. 3 bdrms up PLUS and an extra large utility room with window is a great 4th bdrm or den! Ideally located within 2 blocks to all levels of school and only steps to transit. Roofs were replaced in 2007. Well run complex with low strata fees! Great family home and a pleasure to show!